Unlike most minor updates, this one includes quite a few new features. 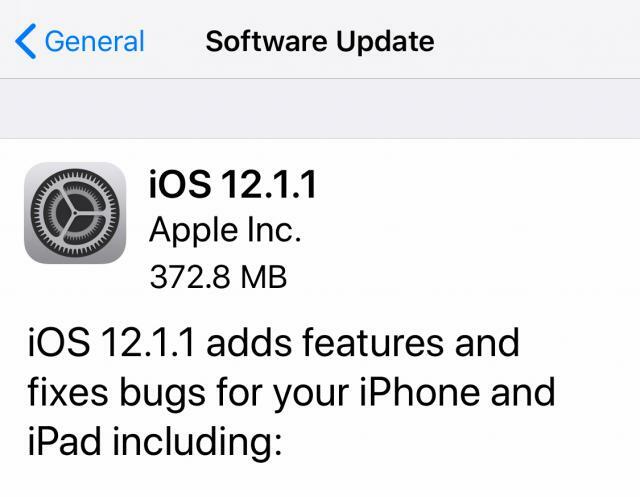 You can get iOS 12.1.1 by going to Settings, General, Software Update on your iPhone or iPad that is already using iOS 12. It will roll out gradually throughout the day, so you may have to wait until you see it. The new features include the ability to take a Live Photo when using FaceTime video chat and a new bottom toolbar for the FaceTime app to make common functions more readily accessible. iPhone XR users will get some 3D Touch-like features with notifications. iPad users will be able to now hide the Apple News sidebar in landscape mode. There is also additional support for eSIM and a tvOS update to match.